I’ve had the pleasure of spending the last week or so getting to know the new Nokia 3310, the company’s latest feature phone designed in the spirit of the much beloved original 3310 from the turn of the millennium. Originally I had planned to relive my nostalgia for my first mobile phones, the Siemens A55, Nokia 3410 and my beloved Sony Ericsson K750i. Unfortunately, I encountered a number of niggles, setbacks, and outright roadblocks that made spending a week with the device much more difficult that I’d first thought. My experience ended up being a frustrating one, and as much as there is to like about the new Nokia 3310, over the course of the week I’ve remembered just how much phones have changed over the past decade. So I’d like to share a few of my observations with you. Right out of the box, getting started with the Nokia 3310 harkened back to a much more primitive experience. 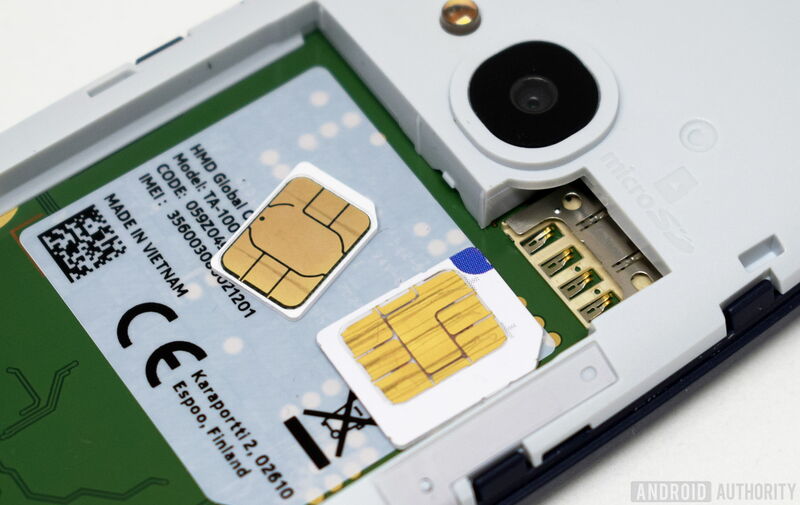 There’s no easily accessible SIM tray here, you have to pop-off the back cover, pry out the battery, and insert a micro-SIM, not a nano-SIM. Fortunately I had an extender around to make my active SIM fit. This was part of buying a new smartphone even a few years ago, when removable batteries were still a thing, and it’s quite a fun for me to take the thing apart to get it working, but others may not enjoy it as much. It’s been a while since I’ve had to break out a micro rather than nano SIM card. Without a Google account, I’d forgotten that I had no way of quickly retrieving contacts. I’d also completely forgotten that I don’t have contacts saved on my SIM anymore, after upgrading to smaller SIM card many moons ago. So used am I to simply logging into my Google account and instantly having all my contacts on a new phone that I actually couldn’t message or phone anyone using the 3310 right away. It took me a good few minutes to copy numbers from some of my most regular contacts over manually. Of course, this won’t be an issue for feature phone regulars, but it just goes to show how reliant smartphone users like me have become on the convenience of internet accounts for keeping track of our contacts. We use our phones for so much these days, it makes me wonder how my generation were enthralled with simple texts as teenagers. Sticking with online accounts and contacts, going back to a feature phone of course means no access to many of the services that we’re so used to flicking in and out of every day. Want to share an interesting article with someone? Nope. Quickly upload a selfie? Nope. Cheeky GIF via Hangouts or WhatsApp? Forget it. App support in general is, unsurprisingly, so far behind what we’re used to in the smartphone space. While there are plenty of flash games in the Opera Mobile Store, what we’d consider essential apps, such as email and navigation, are completely absent. We use our phones for so much more these days, and it makes me wonder how my generation were enthralled with simple texts as teenagers. While Facebook and Twitter are available, there’s no WhatsApp, Snapchat, or other social platforms to be found. Even after the first day of making the switch, I was making some severe alterations to my typical phone usage to fit around the Nokia 3310. Being limited to 2G data and without WiFi access meant that loading websites to catch up news in the mornings became a chore more than a pleasure. I can still remember the days of WAP internet browsers on phones, but the increasing complexity of many modern sites makes 2G far too slow to load them, even when using Opera’s data compressing browser. Old habits die hard. It wasn't long before I found myself reaching for my smartphone to watch that late night YouTube video in bed or browse the news in the morning. The lack of email notifications meant that I was glued to my PC’s inbox more than usual during the working day, while heading out to a new restaurant in the evening was a little tricker without Maps to guide me around unfamiliar streets. I didn’t even attempt to use the rear camera to take a picture of a family gathering at the weekend, as A the camera really isn’t up to scratch and B because I knew I wouldn’t be able to quickly share a Google Photo upload with everyone there either. I had to forget reading the news with a morning tea or coffee. 2G data is too slow for many sites. Going back to a small, touch-less screen was perhaps the biggest challenge. Even over the course of just a few days, these little niggles easily stacked up. Between my reliance on online accounts and services, using my phone for work, and an albeit small selection of apps for entertainment purposes, there’s very little crossover between how I used to use my old feature phones and how I make use of today’s smartphones. I always knew that going back to a feature phone was going to be a different experience, but I was amazed at just how many little things I use a smartphone for in my daily life. I'd never considered my dependency on the internet before, but in retrospect I'm reliant on fast data for so many things in my daily life. I'm yet to decide if that's a negative I need to fix or a worthy trade-off to be part of today's more connected world. It wasn’t long before I found myself reaching for my smartphone to watch that late night YouTube video in bed or browse the news in the morning. I simply couldn’t break old habits enough to stick with the Nokia 3310 as my solo device for the entire week. I really hope this doesn’t come off as a whine against the 3310, I had never expected it to live up to the capabilities of a modern smartphone, it simply isn’t built or marketed that way. Instead, my time with the phone highlighted that even the little things we take for granted are a world away from the experiences offered by phones I remember from little more than a decade ago. The Nokia 3310 was never going to win a spec comparison with a flagship smartphone, but it was the slow 2G data and lack of apps that stood out as the biggest drawbacks. As frustrating as my time with the Nokia 3310 was, there is a solid feature phone in there. The build quality seems even better than devices I remember from the time. The phone is wonderfully light yet sturdy in hand, the handset responds quickly, call quality is just fine, battery life is simply outstanding by smartphone standards (I’m yet to recharge it), and it’s as simple to use as ever. Feature phones are still an essential part of the mobile ecosystem. Catering for those who don’t yet have access to services many of us take for granted, technophobes who prefer something a little more basic, or simply people who are looking for a cost effective backup handset. The Nokia 3310 is a great device for these groups, but personally I could never go back.